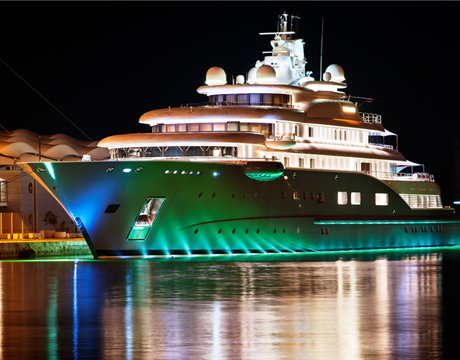 Skybridge wireless mobile service is also available for installations on board Super Yachts. Guests while at high seas will be free to use their own mobile phones, under classic roaming principle, creating an unmatched experience while cruising with friends and family. For crew members we offer post or pre-paid SIM cards with dedicated phone numbers to help them stay in contact whilst getting very attractive call and data rates. Skybridge cutting edge wireless service includes the entire network, distributed antenna system and international roaming agreements for call terminations around the world. Ship owner or ship management companies fit our distributed antenna network and are just charged with a monthly fee to access to our services. Skybridge wireless service is also an excellent mean to stay in close contact between headquarters and staff on board.